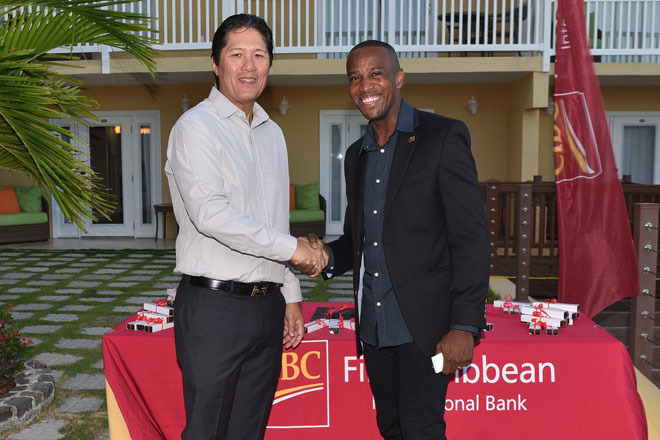 St. Kitts, July 12, 2017 – CIBC FirstCaribbean is continuing its effort to deepen client relationships. The bank recently held a client cocktail to reiterate the bank’s appreciation and commitment to its key clients and stakeholders. The unforgettable evening of cocktails, cuisine and connections was held at the charming Ocean Terrace Inn on July 6 2017, and was attended by key corporate clients that form part of the bank’s diverse network of customers as well as management and staff of the institution. Cadogan assured that this activity was but one in an ongoing effort to solidifying the bank’s commitment to catering to all segments, and remaining relevant and responsive to emerging needs.